Old, Rusty, 4 door Pontiac Photo Picture Classic Cars for sale & Classifieds - Buy Sell Classic Car & Classic Truck Classifieds. THe old Pontiac is gone now too. Became another donor for someones project. Once loaded up the back under carraige was badly rotted. 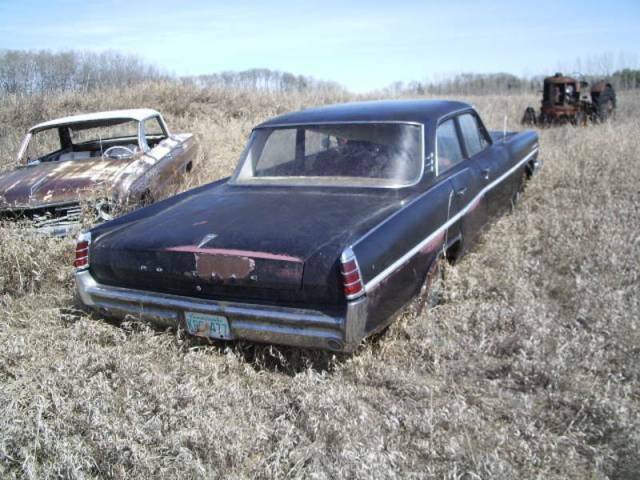 The black car is a 63 Pontiac Laurentian. The Brown and white car was a 61 Lesabre 4dr ht. It got salvaged for another car. The Pontiac could be saved, there is a 2nd one there. Whats's the little white car to the left?